The Dinosaur event is always super fun and well attended. You and your little one will have LOTS of fun. The gym nights have been slowly growing and are a great way to get exercise, learn to interact with others and play in a boisterous environment. Hope to see you at one or both of the events. Here are the remaining 2012 events. The calendar for 2013 will be out soon. Dad’s and other important male caregivers are essential in the physical, emotional and psychological health of their children. This book by Neil Gaiman is an excellent, honest look at the irreplaceable role Dad’s play in our lives. I highly recommend it. They also have this book at the FSJ Library if you want to have a look. The next artsyfARTsy event in April 28th at the Totem Mall. Our project is evolving and developing into something AMAZING. April’s event is BIG! Eco-art activities, wearable art fashion show and multi-media demonstrations. It’s going to be exciting. Download the entry form for the fashion show and start creating now! 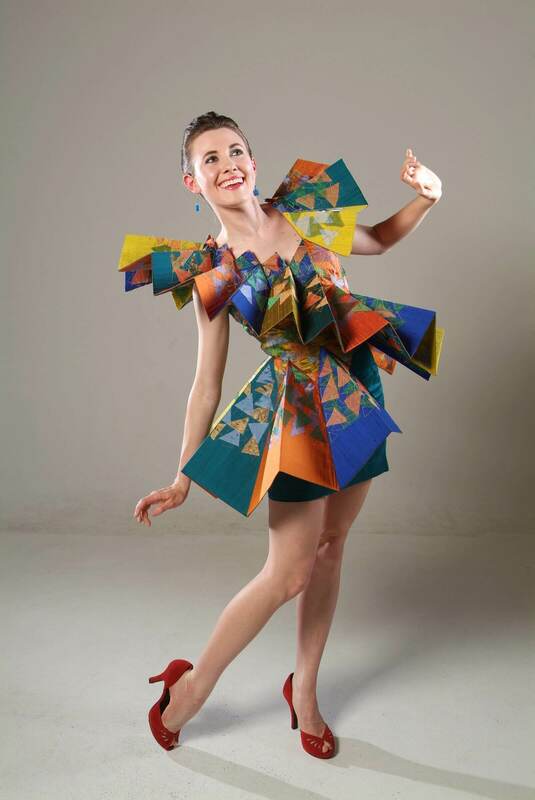 Here are a few links with ideas for Wearable Art. There are 2 Daddy and Me events this week. Wednesday at Robert Ogilvie gymnasium and Saturday at the NP Cultural Centre. Come enjoy some active play together and/or create a valentine sensation for someone special. The gym is open anytime after 5:45. We usually start clean up sometime between 7 and 7:15. Then we eat snack and enjoy time at Strong Start. There were some disappointed little ones last month who came after 7 when we were cleaning up. I apologize to those families for the confusion in scheduling. It’s time for all the Family Place programs to take a seasonal break. Here is a calendar with final events for December and start up dates for January. October’s Daddy and Me Story Time at the Library was a great success. Morgan Peltier, children’s librarian, lined up two dads to read stories. Stephen Petrucci, pictured here, brought his guitar and sang with the children and their dads. In total, 27 children and 18 dads participated. November’s event is always a hit. It’s Dinosaur night at the CCRR. And there is always Daddy and Me gym night if the schedule works better for your family. Thank you to Pam for all her hard work in coordinating these events! Everybody knows someone who struggles with childcare. Moya and Heather at CCRR can help. Checkout some highlights from their more recent newsletter. There is much more! Download the full newsletter with craft ideas, workshop opportunities and to print off the colouring sheet. Heather’s fall newsletter is out and it’s packed with resources and ideas for you and your little ones. Here are a few highlights! If you want to see more, click on the full newsletter. If you need help finding childcare or if you are interested becoming a caregiver, please contact Heather or Moya at CCRR. What an amazing first day at the Park. There were more than 65 children participating at KIN Park this afternoon doing crafts, reading stories and playing games. Thank you to Kayla and Serena for coordinating such a large community event. See you Thursday at Matthew’s Park. Thank you to the Alaska Highway News for stopping by. At the Community Garden Launch, we hosted our regular play activities along with a special surprise. Featuring a recipe out of the Healthy Meals from Words on Wheels cookbook, we built fruit and veggie kabobs. Building kabobs has a lot of potential for young children’s development. Threading fruit onto the skewer builds fine motor skills while varying the colour, shape and type of produce leads naturally into pattern exploration. Just remember that skewers can be dangerous without proper supervision. One lucky mom won the Words On Wheels cookbook draw. You can come visit us to borrow or purchase a copy for yourself. It was a great day on the Bus. Please join us!